Cable assemblies are used in every application, big or small to neatly organize the bundles of cables that are used in any machinery or electrical appliance. They help to keep the space organized and need, reducing tangles, thus reducing the cases of trips and accidents. There are various types of cable assemblies available in the market for one to choose from, with options of even having them customized. While some may prefer simple cable assemblies, there are others who demand, in this trendy world, trendy designs for even something like cable assemblies. Now, what can trend be in a cable assembly? Let’s find out! Many cable assemblies breakout from a higher pin count connector to several smaller position connectors. Breakout assemblies can provide better design and routing flexibility. Breakout connectors are commonly used in industrial applications where one pain PCB frequently interfaces with several smaller cards. 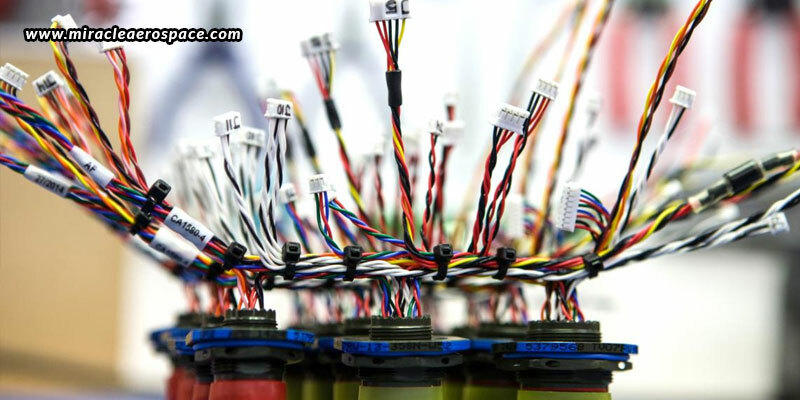 These cable assemblies are used to identify the wires to a position on the connector and PCB. Most of these assemblies have single ends. Using two or more cable sizes in one cable assembly allows designers to route signal and power through the same connector, thus helping to save board space and requiring fewer connectors. This design is common for 2.54 mm pitch connectors as these contact systems accept a wide range of wire gauges. Jacketed cables protect the cables within from heat and other environmental conditions, while keeping the cables away from other PCBs, thus bringing room for accessing the system in times of need. Used for isolation, to minimize electrical interference, these kinds of assemblies have multiple twist ratios as each pair performs at a different frequency. Ferrite coverings around the wires can suppress high frequency interference. Labels can be used to identify anything. This advantage is brought to cable assemblies to be able to identify the lot code, date code, safety information, and much more. These are just some of the ways you can have modified cable assemblies for your application. For many other variations, modifications, and options, you can get in touch with expert professional cable assembly manufacturers. Miracle Aerospace are specialized aircraft cable assembly manufacturers in India who are known for both ready and customized cable assemblies. They are highly rated to design customized products, and that too, being delivered on time and as per decided. The systems used are easy, quick, and affordable, making it easy and cost-effective to meet the specific needs of the customers. The manufacturing capabilities and specifications include laser cable printing in-house, automated wire cutting, automated wire stripping, automated terminal crimping, automated lugs crimping, in-house testing, lean manufacturing processes, mistake proofing, heat shrinkable sleeves printing, 3D CAD modeling, rapid prototyping, and much more. And, the materials that are used are UL approved and of military grade. Moreover, the engineers are IPC620B and IPC610A certified. Thus, there remains no reason to be worried when your project is in the hands of Miracle Aerospace!